Executive Functioning Group: the best program with the longest name. 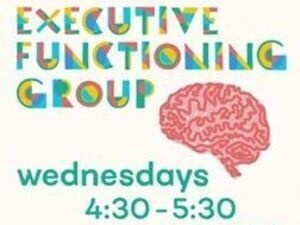 The Executive Functioning Group is a weekly drop-in lesson/workshopping session for people looking to work on and or master their organization, prioritization, time management, and general ability to get things done. The Center for Student Success piloted this group last semester, and we're expanding it for you. To start our revamp, we've set a whole new curriculum and changed the format of group sessions. This semester, we'll be focusing on the "201" side of things; maybe you know the basic steps, how do you actually DO them? We're highlighting interdependent relationships wherein you will get to receive and offer counsel to others, with your hosts guiding the conversation and providing our expertise as relevant. We're also promising that if you come to a group session, by the time you leave, you will already have one thing off your to-do list.